You can contact the following people about this topic. As we reflect on Dr. Martin Luther King Jr.’s life and legacy, it is time to both celebrate the progress that he helped to create in nearly every aspect of our lives, and to look unflinchingly at the work that still remains in front of us. 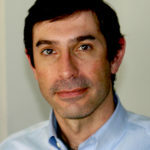 His notable but often less recognized work on employment and income as a key tool in advancing the American Dream is particularly important as we also consider the state of our economy. Last year saw continued progress in shrinking the employment gap between workers of color and their white colleagues, but barriers to employment for workers have not been erased. Structural racism continues in the systems and policies that govern our labor market, including the high cost of education and skill training, the lack of effective transit systems, inequitable hiring and promotion practices, and many other impediments to securing employment that fall heaviest on communities of color. 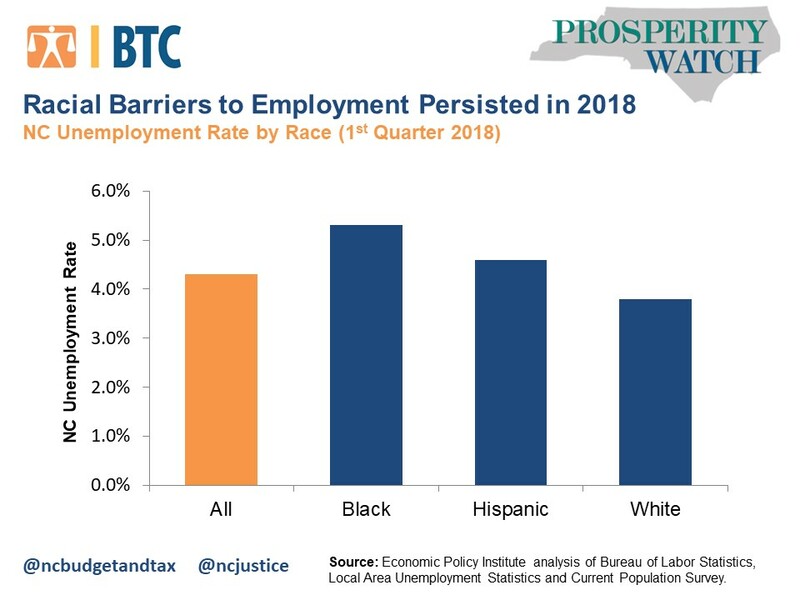 Based on the most recent state-level data available for North Carolina, Black workers experienced unemployment at 40 percent higher rates than their white counterparts. The gap was not quite as pronounced between white and Latinx workers, but still reflects an economy that is substantially more challenging for people of color. Nationwide, some progress was made in shrinking the racial unemployment gap during 2018, but that vital mission remains unaccomplished. From the fourth quarter of 2017 through the end of 2018, the unemployment rate for Black workers declined from 7.0 percent to 6.1 percent, a larger drop than the move from 3.4 percent to 3.2 percent for white workers. Because white workers face fewer obstacles to securing employment, their rate of unemployment was already at historically low levels going into last year even while many people of color continued to find it more difficult to find work. Structural barriers to employment hurt all North Carolinians, not just workers of color. A recent analysis estimated that achieving full employment (defined as an unemployment rate of 4 percent) for all racial and gender groups would boost North Carolina’s economy by over $11 billion per year. Progress made over the past decade should be celebrated without complacency. Racism harms everyone, regardless of the color of their skin. Dr. King’s dream for an equitable labor market where everyone who wants a job has one will only be realized if we all share the load of attacking and uprooting racism in our society.